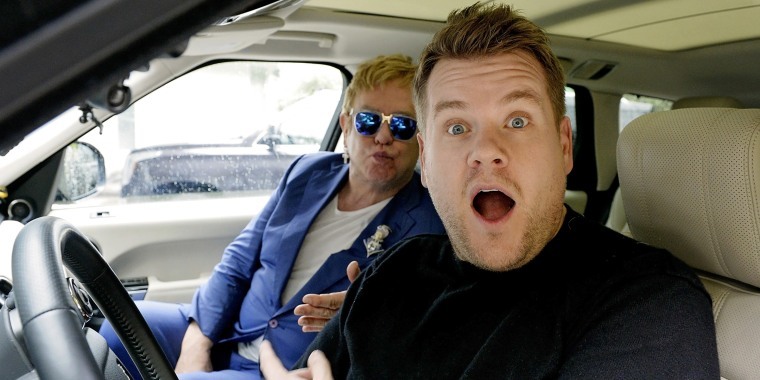 He's already gone for a spin with some of the biggest names in music, but "The Late Late Show" host still has a few dream guests. "There's so many," the "Late Late Show" host confessed in an interview with E! News. "There's loads." His star-studded list includes Taylor Swift, Beyoncé and The Boss himself, Bruce Springsteen. As for Bey, she's been that wish list for a long time. Back in 2016, when the singalong bit was only a year old, Corden name-checked her as one of his most wanted in a chat with Time Out New York — right alongside Bruno Mars (who he's since nabbed). As for the rest on his current list, he's still hoping to get singer-songwriter Paul Simon, as well as rappers Nicki Minaj and Kendrick Lamar. And there's one more big name he's come close to getting, but just can't seem to lock him down. On a recent episode of the "The Late Late Show," Corden sat down with "Keeping Up with the Kardashians" matriarch Kris Jenner and revealed that Kanye West is the one who got away — again and again. When Jenner asked why he's never taken a spin with her son-in-law, the host told her, "We’ve tried! He cancelled twice! Maybe even three times. He cancelled once as I was turning the corner to his house." Corden added that it cost his show $45,000 that time, though Kanye soothed things over with a pair of Yeezys and some flowers — as well as the hope that, one day, it might still happen. "We love him," Corden told Jenner. "He’s my dream! He knows that."